For more information on Mason Rooftop Spring Curbs, please download the brochure here. For more information on Mason Seismic Rooftop Spring Curbs, please download the brochure here. Typically, most rooftop equipment is supported by a roof curb. The image at the top of this page is a Mason SRSC, a seismic spring curb. 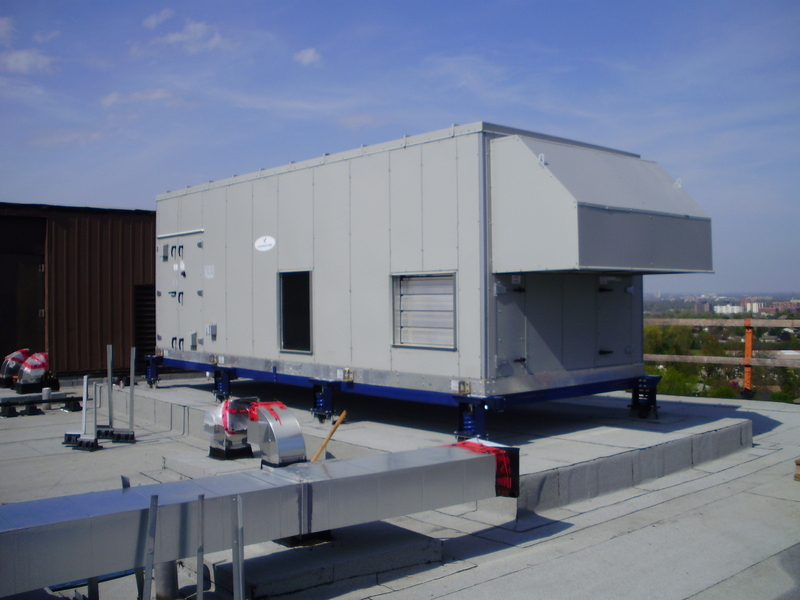 Occasionally, there is no provision or design for the equipment to come with a roof curb, or the equipment is installed in a mechanical penthouse. 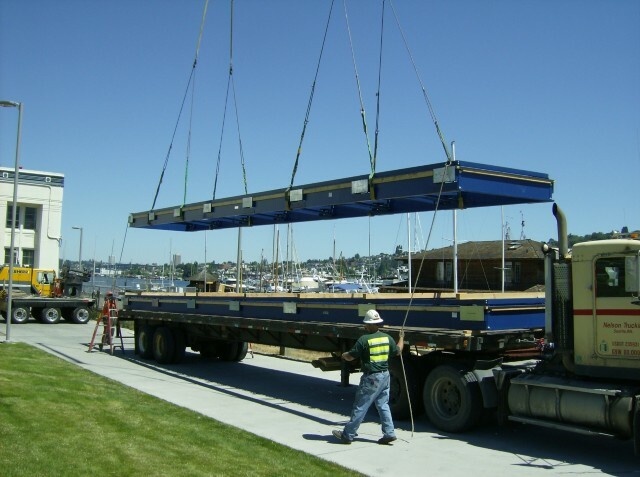 Where vibration isolation is required, Tecoustics’ design services can provide high deflection isolation as well as an equipment support frame. Shown to the left, an ERV is mounted to a custom bolt-together equipment support frame, sitting on 3″ deflection seismic springs type SLR.